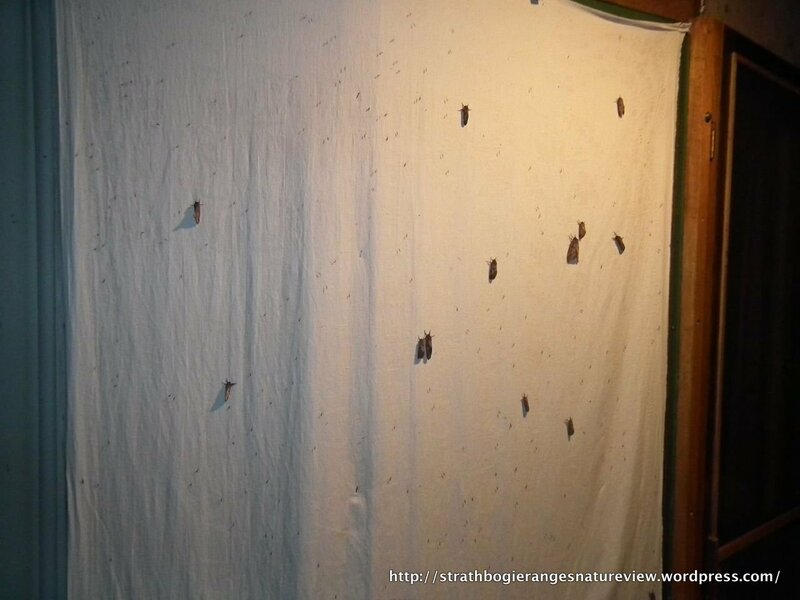 We’ve finally had some autumn rain and a few days ago we had a classic big-moth night. Large, bullet-shaped, fast flying kamikaze moths on wet roads at night – I think we’ve all seen that. Back in February we had an emergence of the Swift Moth Abantiades labyrinthicus. Over the last month a different species of Swift Moth, or Ghost Moth, has been emerging – Oxycanus dirempta. These large moths belong to the moth Family Hepialidae, that includes moths even bigger than the two mentioned here. The genus Oxycanus includes at least 71 described species in Australia & New Guinea. Oxycanus dirempta at Boho South – virtually the only moth species flying on this wet night. Oxycanus dirempta is a bit smaller than A. labyrinthicus and doesn’t have the intricate patterning, but in it’s own way body pattern and colouration is rather variable and size varied quite a bit too – see the slideshow. This variability can make identifying these large moths trickier than one might imagine – not fair! After all, if tiny moths are harder to ID, then large ones should be straightforward – right? And just to emphasize the point, among the O. dirempta (in the gallery below) lurks a second species, Oxycanus silvanus, pointed out to me by Victorian moth expert Peter Marriott, only after I’d initially published this post, at which time it was still an O. dirempta. The 20+ O. dirempta that came to the light on the 13th May (above) showed a wide variety of pattern and colouration, making it easier for that O. sylvanus to slip through. When looking at the pics, remember that the males have the elaborate, comb-like antennae, females have smaller, simple filamentous antennae. And check out that hair … I mean those hair-like modified scales – these moths practically have a mane! And O. sylvanus is the last image – it does look a bit different. Oxycanus dirempta – underside of dscf6053. Close-up of previous specimen (5957). Previous Previous post: Stone artefacts – Srathbogie district. 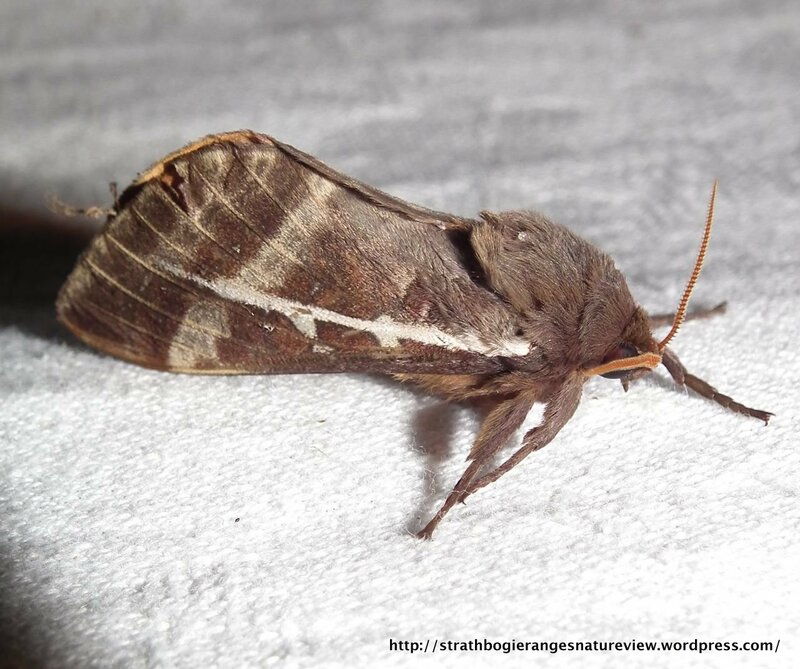 Pingback: April Moths – 2013 | Boundary Hill Forest Blog.